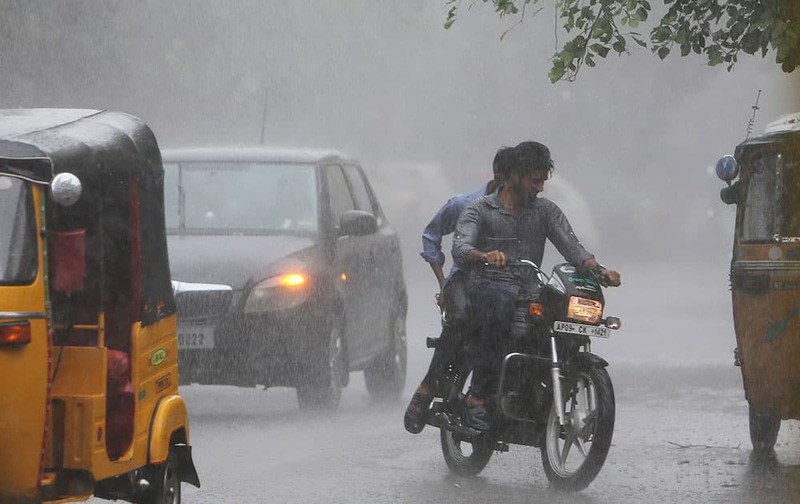 yoga guru Baba Ramdev, left, and former All India Imams Organisation general secretary and now a former member of the India Against Corruption core committee Mufti Shamoon Qasmi perform Anulom Vilom or Alternate Nostril Breathing exercises during a practice session ahead of International Day of Yoga in New Delhi. 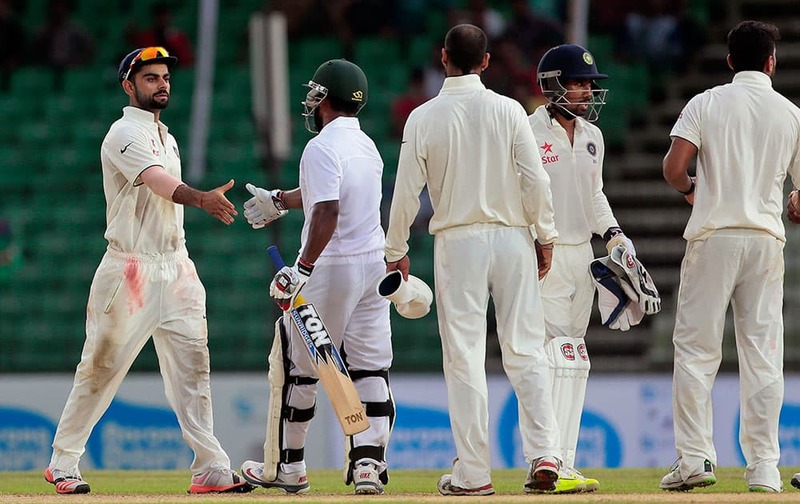 India’s captain Virat Kohli, left, shakes hand with Bangladesh’s Imrul Kayes, second left, at the end of the final day of their cricket test match in Fatullah, Bangladesh. 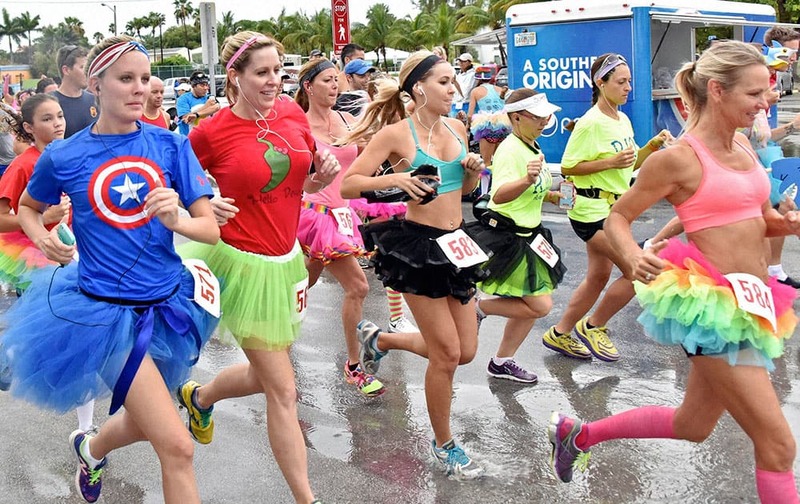 participants in the Tutu Relay race down Atlantic Boulevard in Key West, Fla.
southeastern Turkey from the Turkish side of the border between Turkey and Syria, smoke from a US-led airstrike rises over the outskirts of Tal Abyad, Syria. 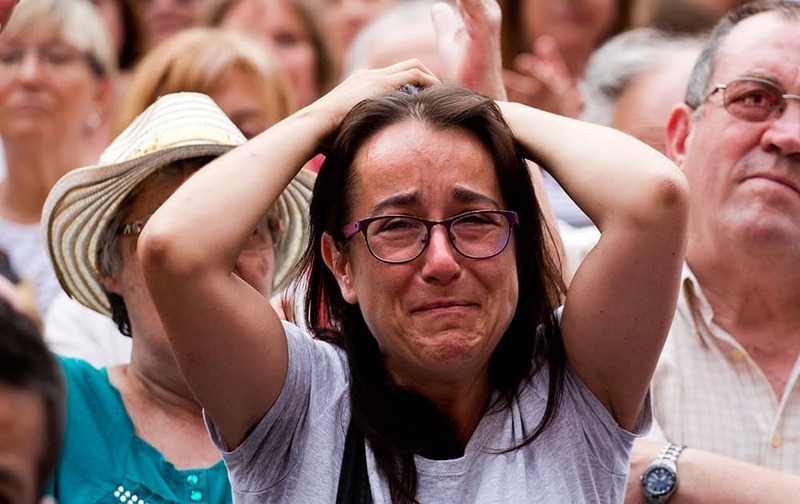 People react in front of the city town building to support the leader of leftist coalition Barcelona Together, Ada Colau, after been elected as Barcelona's new mayor in Barcelona, Spain. 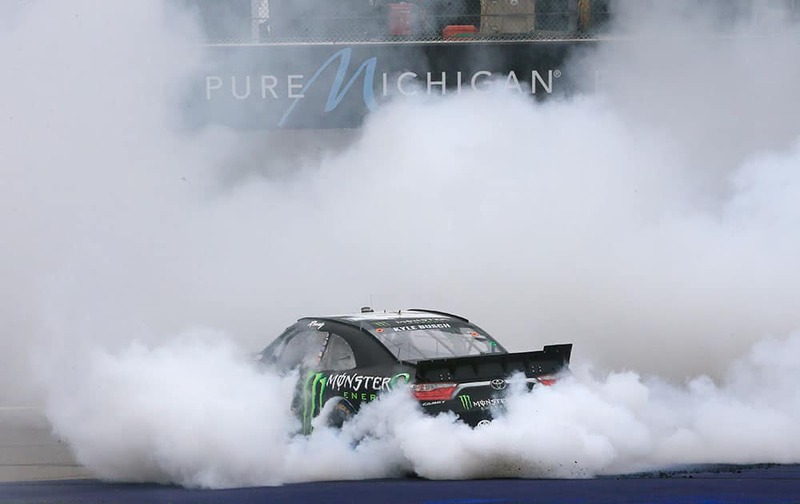 Kyle Busch burns out at the finish line after winning the NASCAR Xfinity series auto race at Michigan International Speedway, in Brooklyn, Mich.
A motorist rides during a rain in Hyderabad, India. 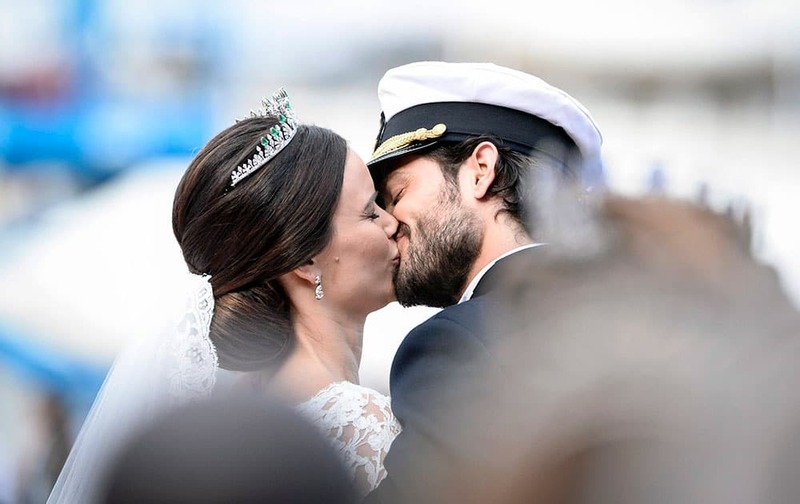 Sweden's Prince Carl Philip kisses his bride, Sofia Hellqvist in a carriage, after their wedding ceremony, in Stockholm, Sweden. 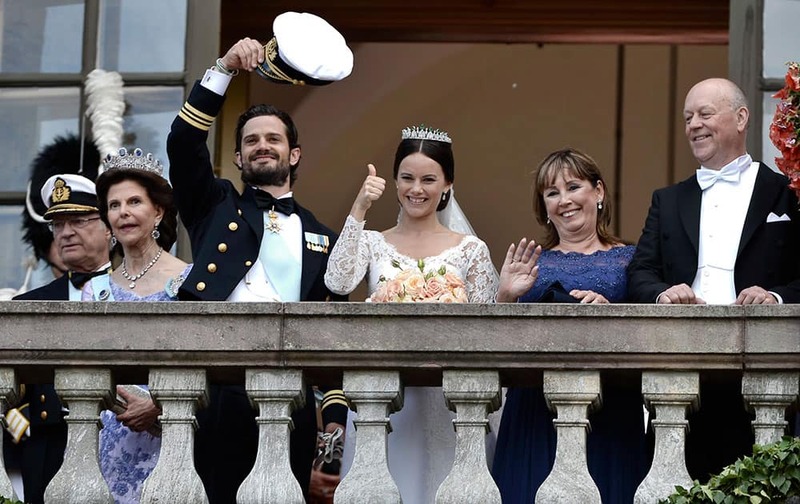 King Carl Gustaf, Queen Silvia, Prince Carl Philip, Sofia Hellqvist, Marie and Erik Hellqvist, are greeted by the people after their wedding in the Royal Chapel in Stockholm, Sweden. 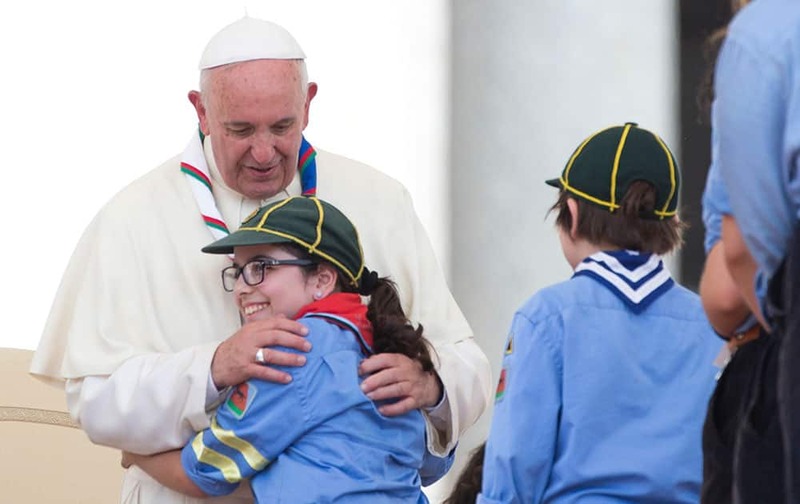 Pope Francis hugs a girl at the end of an audience with Italian AGESCI boy scouts association's members in St. Peter's Square at the Vatican. 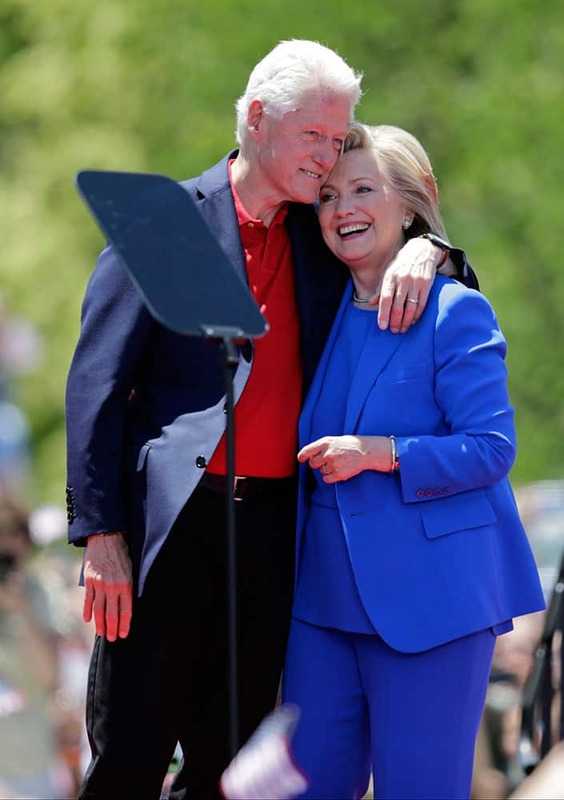 Democratic presidential candidate, former Secretary of State Hillary Rodham Clinton, left, hugs former President Bill Clinton after speaking to supporters, on Roosevelt Island in New York. 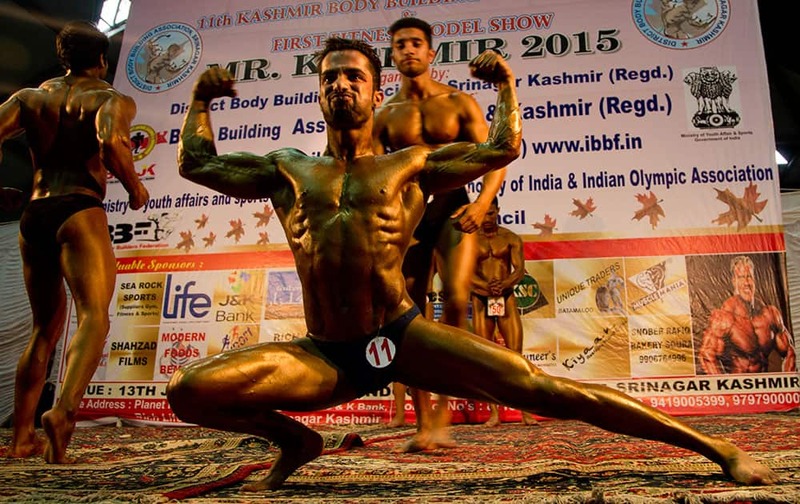 Kashmiri bodybuilders display their muscles during a Jammu-Kashmir state level bodybuilding competition in Srinagar, India. 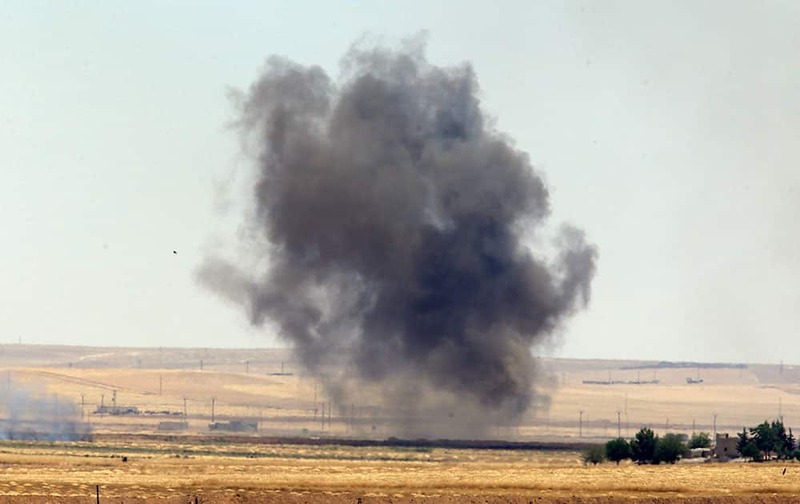 Charles Rosa, left, of the United States battles against Mexico´s Yair Rodriguez during a men's Featherweight UFC 188 mixed martial arts bout in Mexico City. 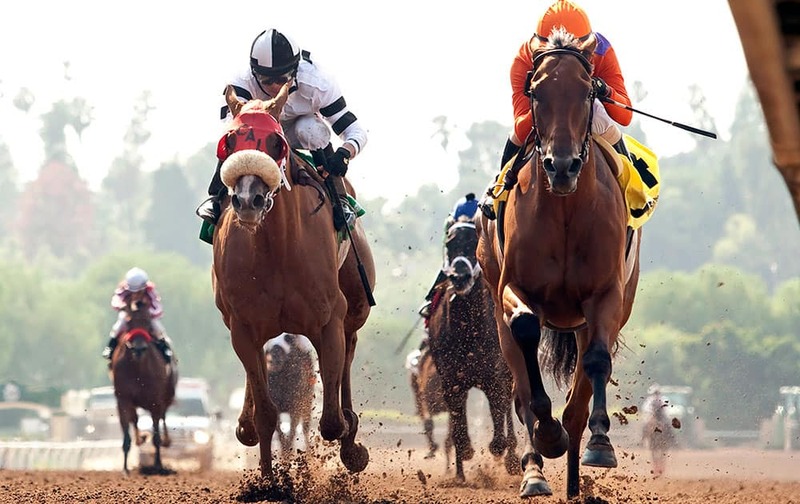 Beholder, right, with Gary Stevens aboard, shakes off Warren's Veneda, left, with Tyler Baze aboard to win the $100,000 Grade III Adoration Stakes horse race, at Santa Anita Park in Arcadia, Calif.
Tom Hoge hits from the sand on the 16th hole during the third round of the St. Jude Classic golf tournament, in Memphis, Tenn. Fans of Paraguay wait for the beginning of Copa America Group B soccer match between Argentina and Paraguay at La Portada stadium in La Serena, Chile. 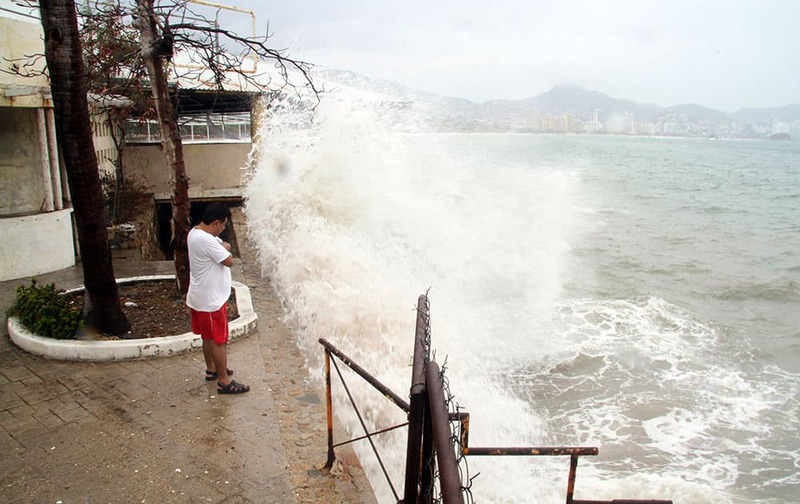 A man watches as waves crash against a sea wall in the Pacific resort city of Acapulco, Mexico. 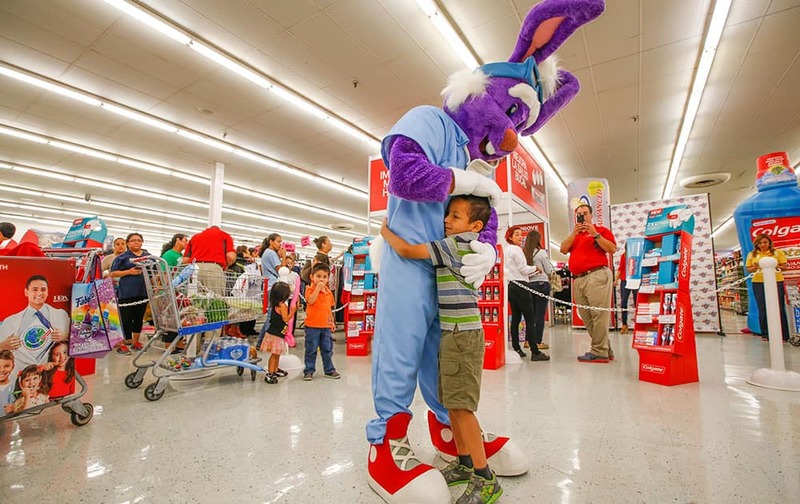 A child embraces a giant purple bunny rabbit at Colgate Oral Health Month at Fiesta Supermarket, in Houston. 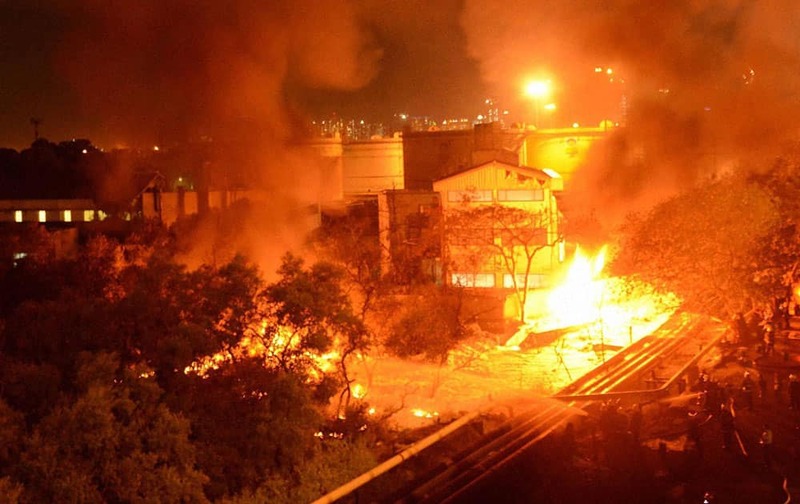 A major fire broke out at an oil depot due to a suspected leakage at Wadala area in central Mumbai. 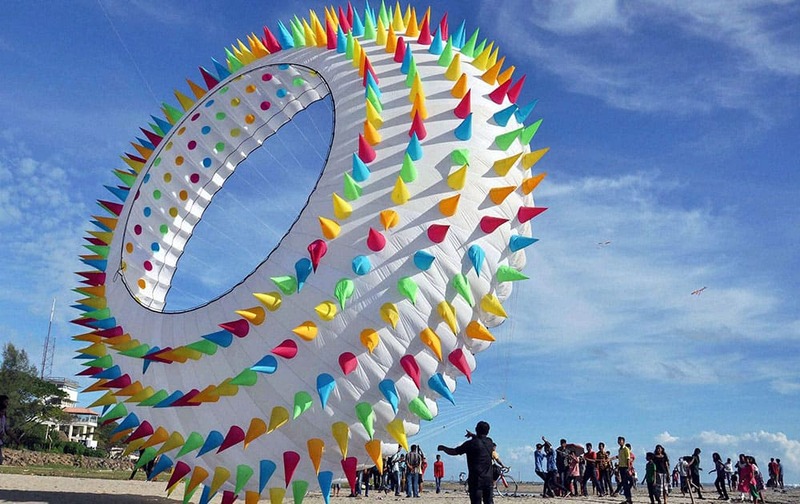 Enthusiasts flying a huge kite at Fort Kochi beach in Kochi.